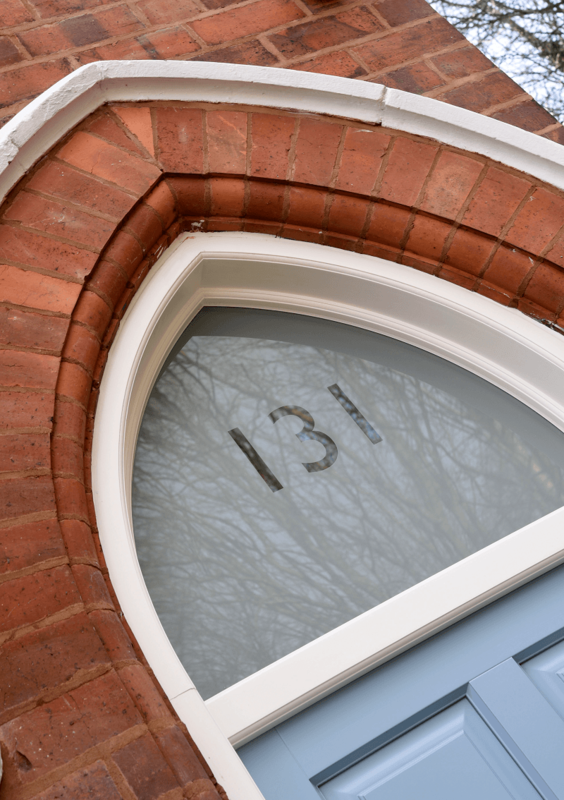 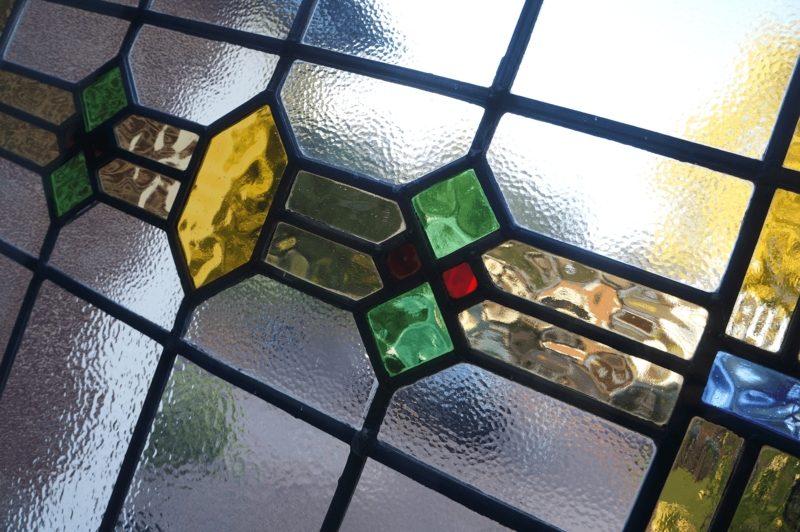 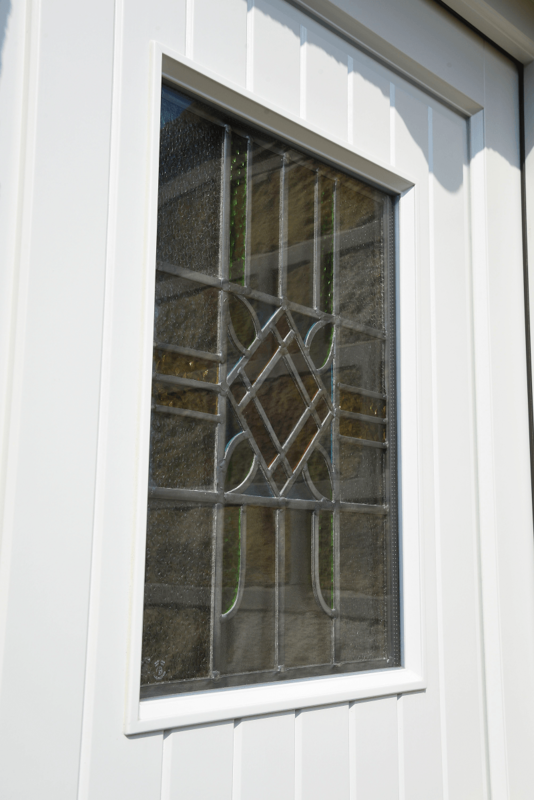 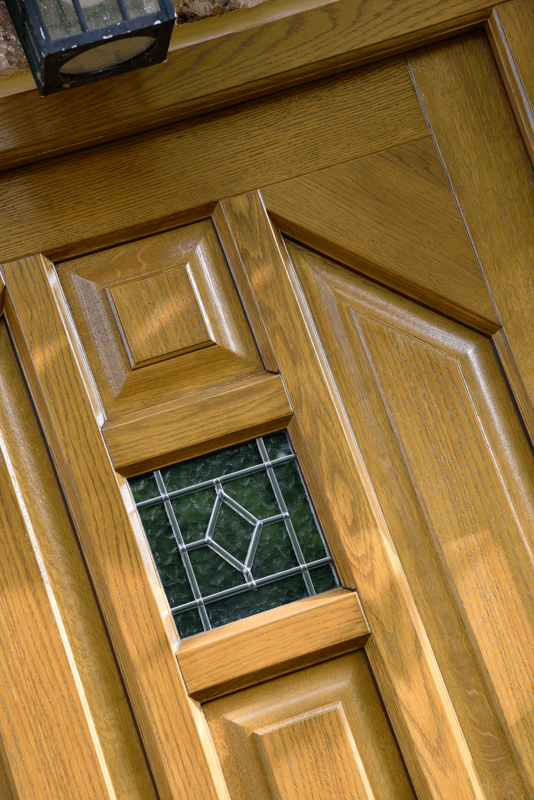 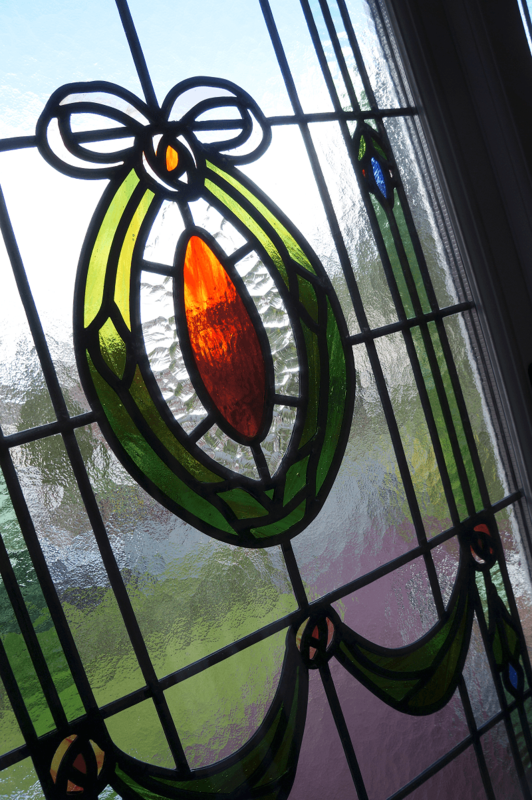 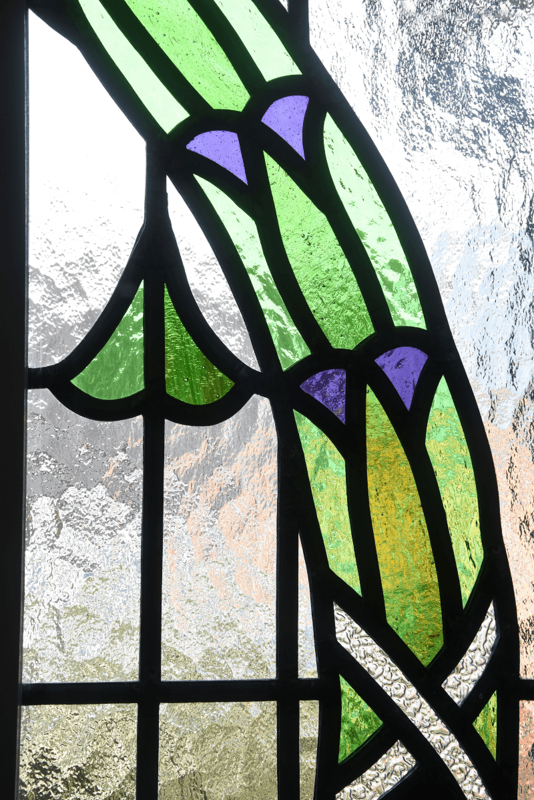 A wide selection of glazing designs based on authentic Victorian stained glass motifs are available for use in our timber windows and doors, to further enhance their beauty. 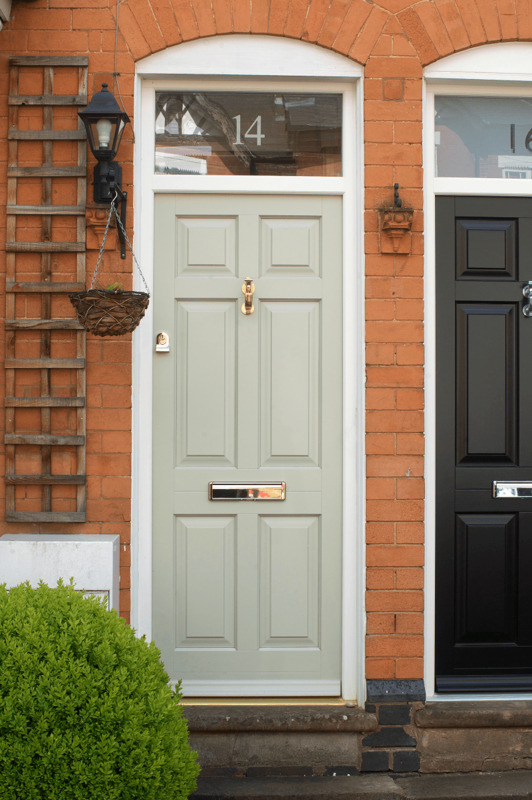 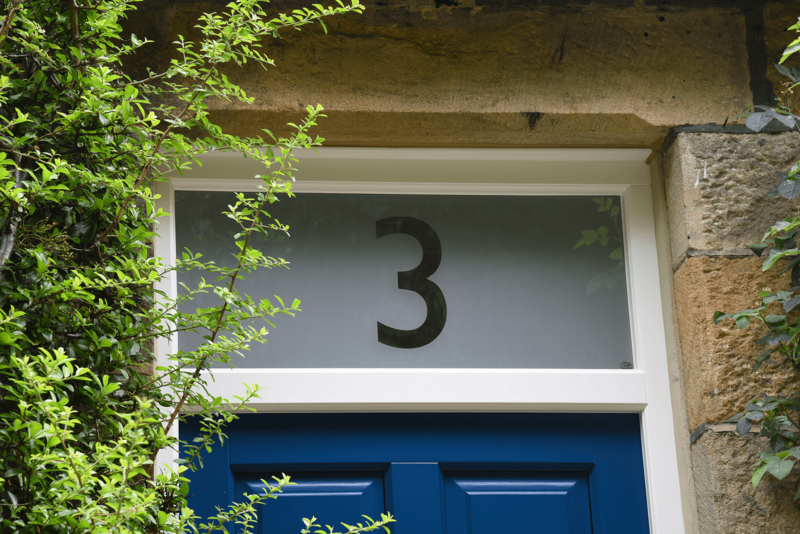 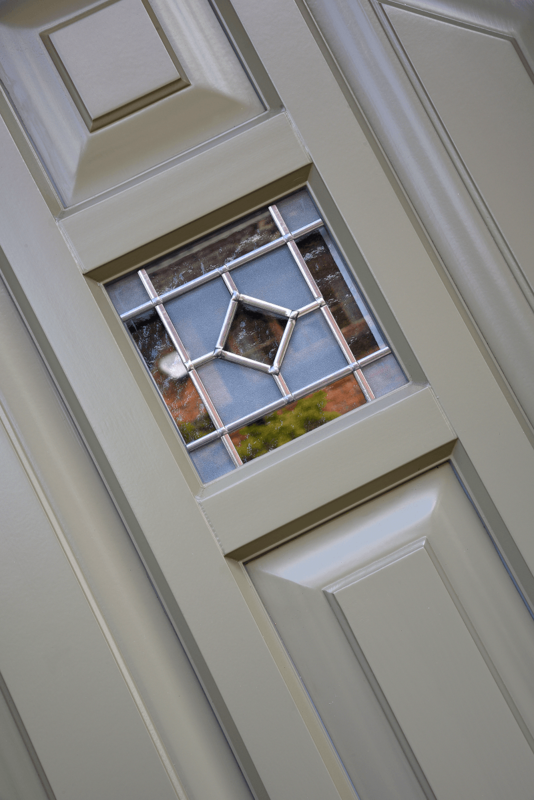 These designs may be selected in a variety of colour finishes to complement your door, or add character to your windows too. 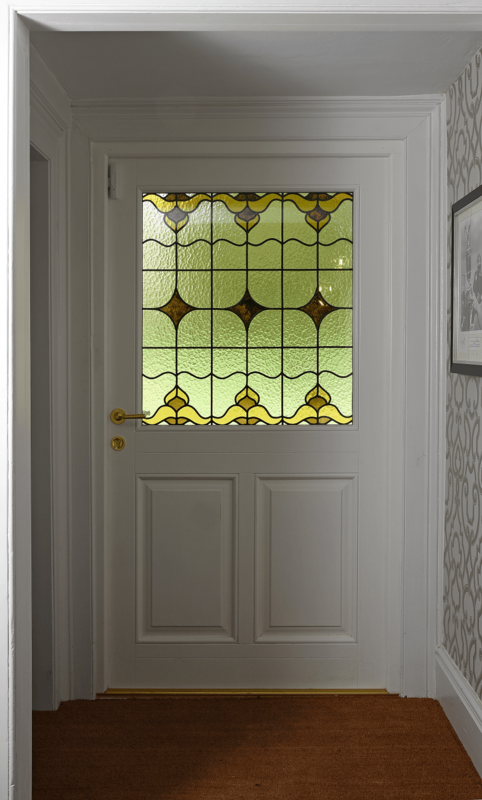 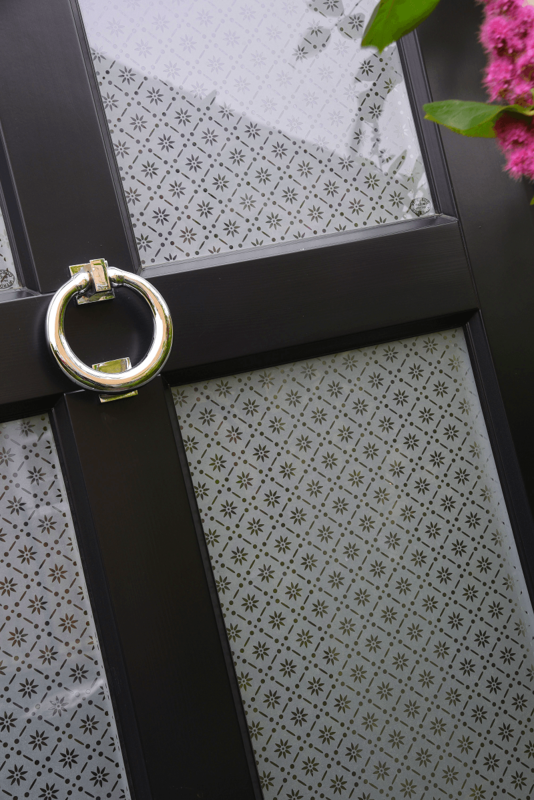 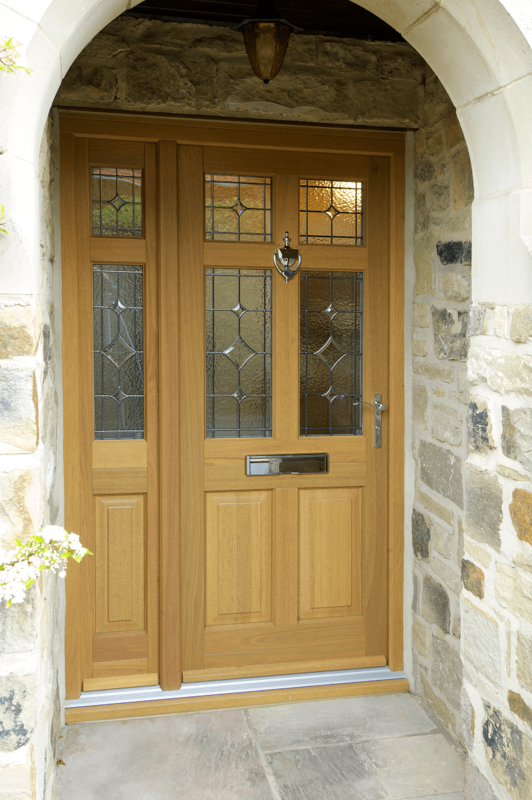 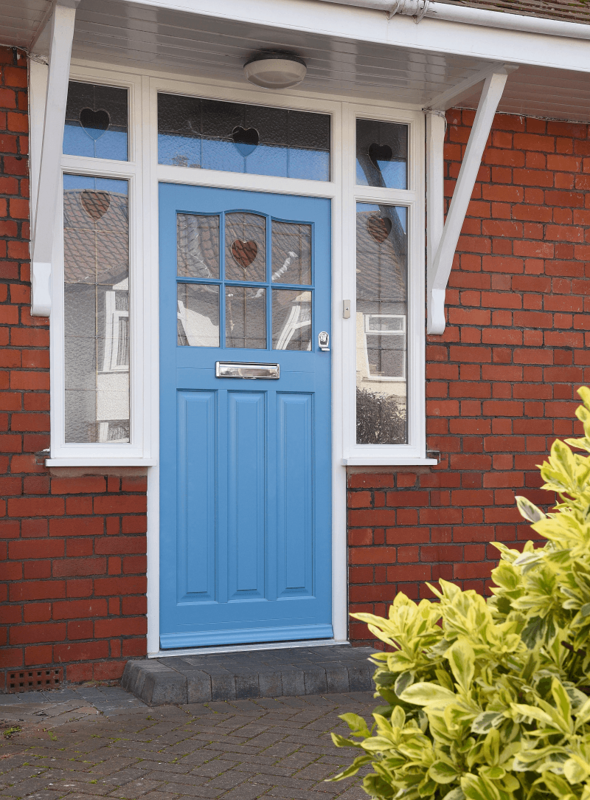 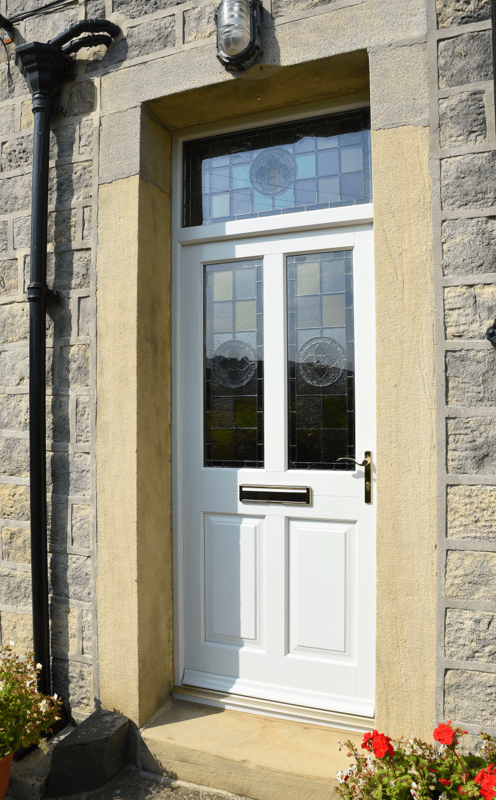 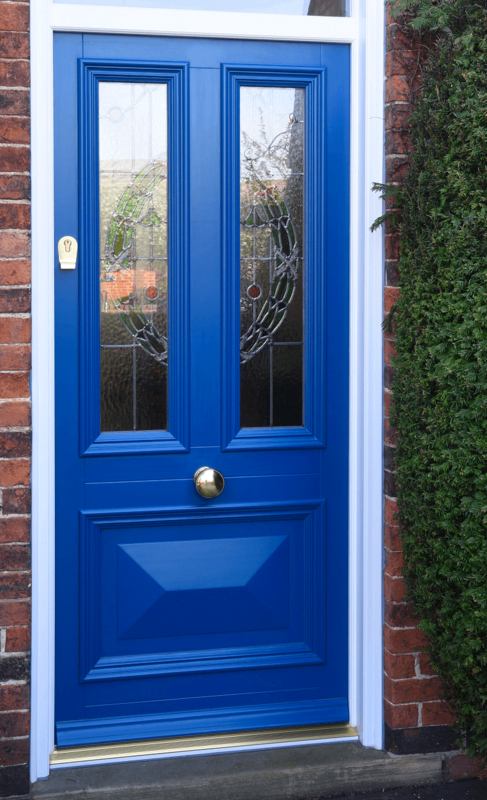 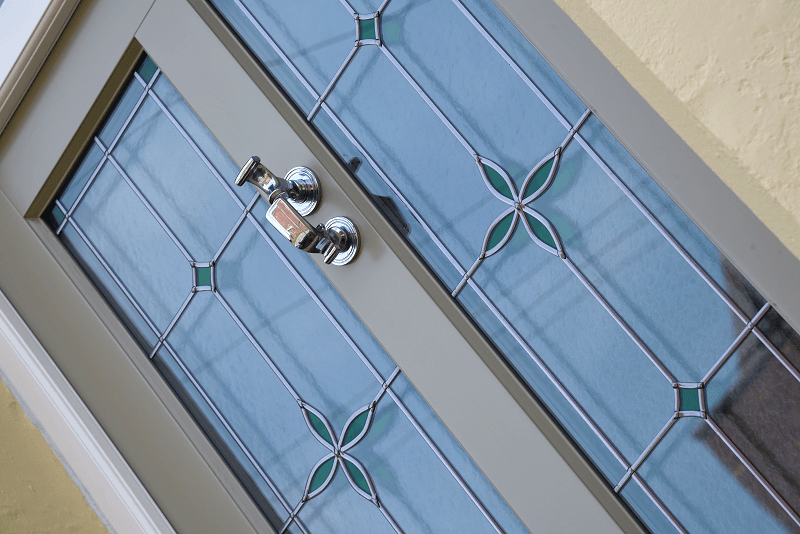 Traditional floral, geometric patterns and etched designs grace the range, and can be tailored in size to suit the door or window style and proportion. 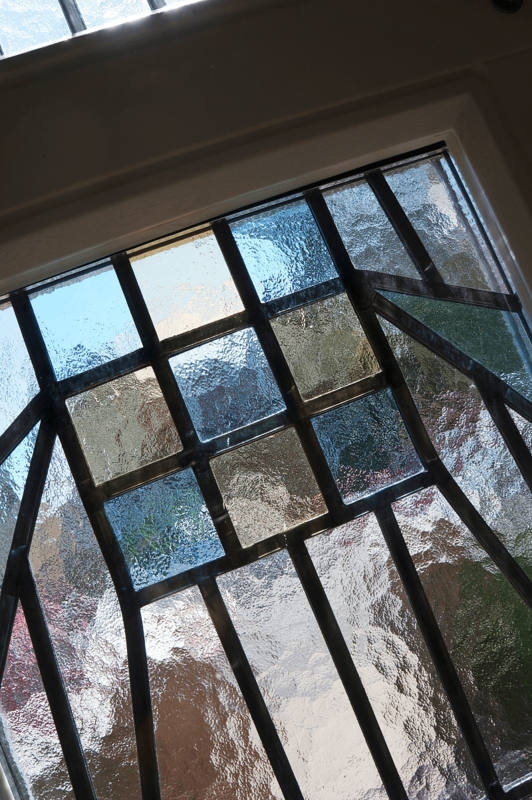 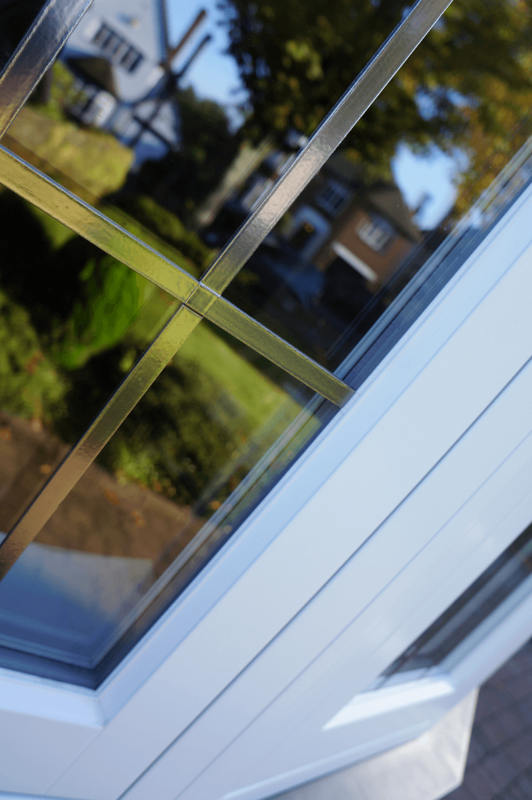 Bespoke glazing to custom designs are also possible, and can be discussed at your local Timber Windows showroom, along with the possibility of encapsulating original stained glazing panels into new windows and doors. 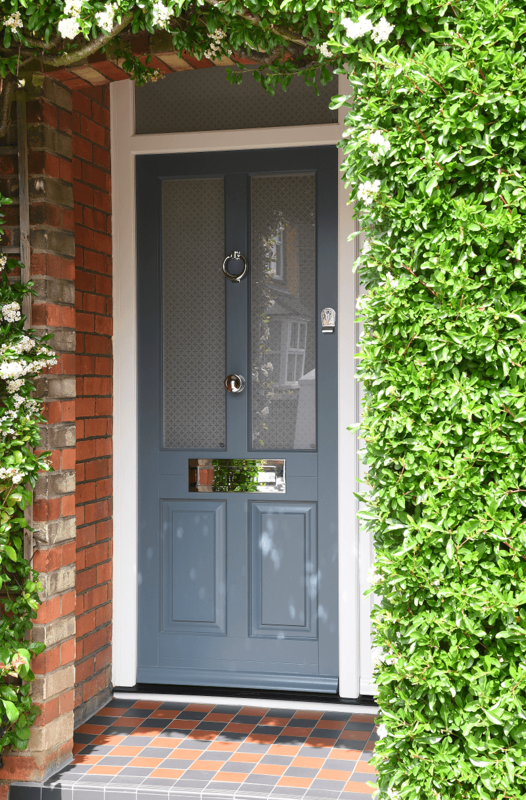 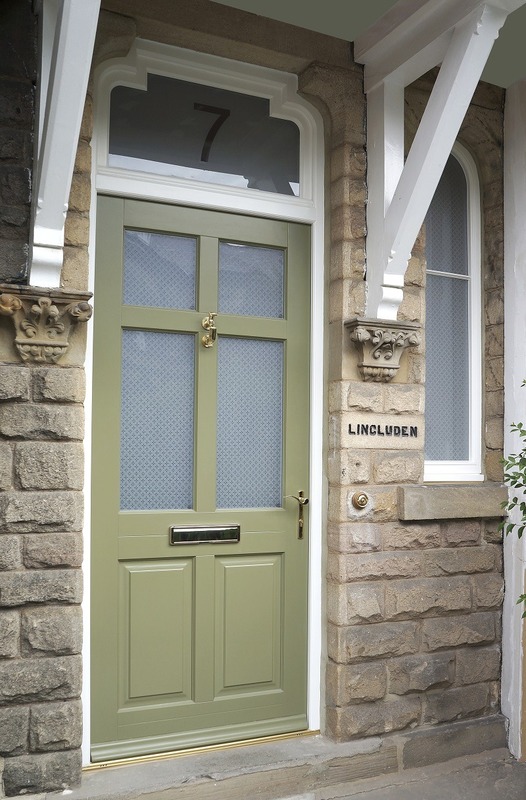 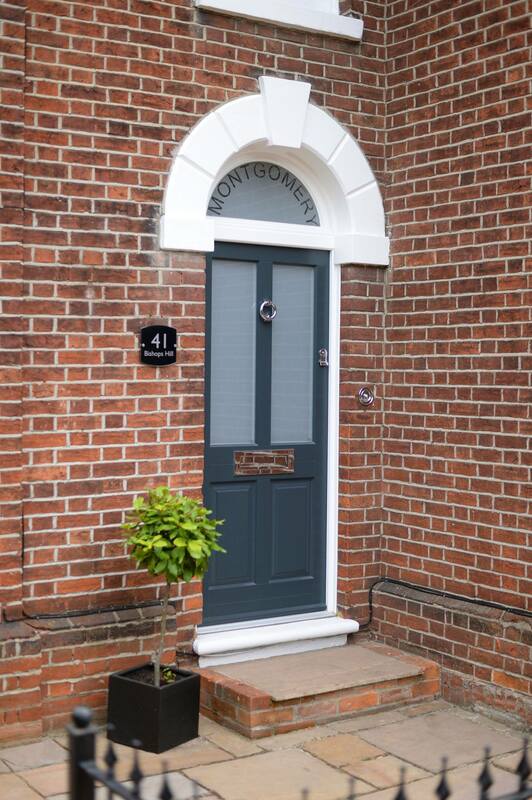 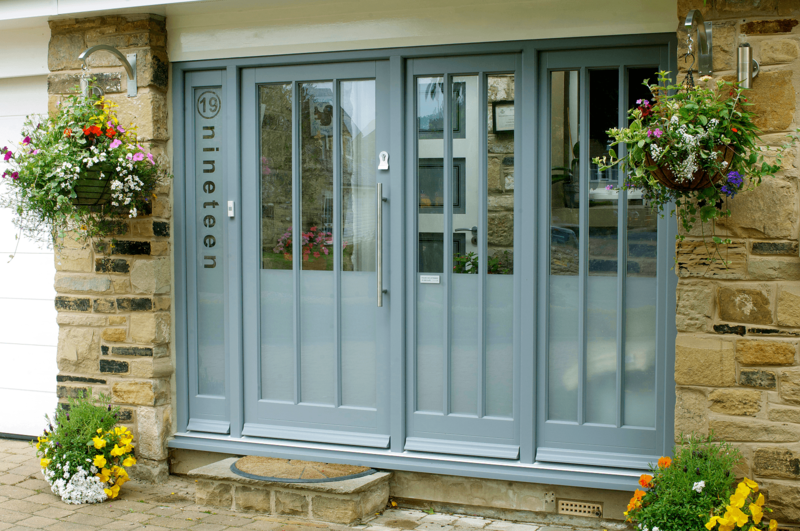 Kingston front door in Anthracite, with White Frame. 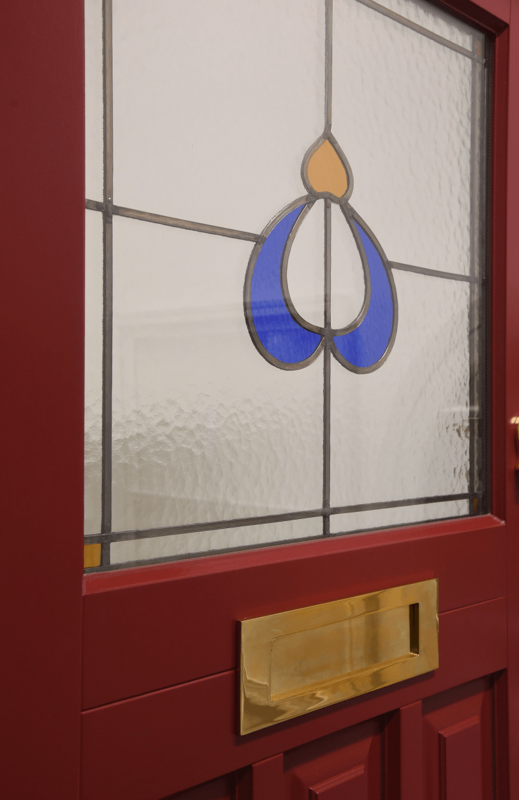 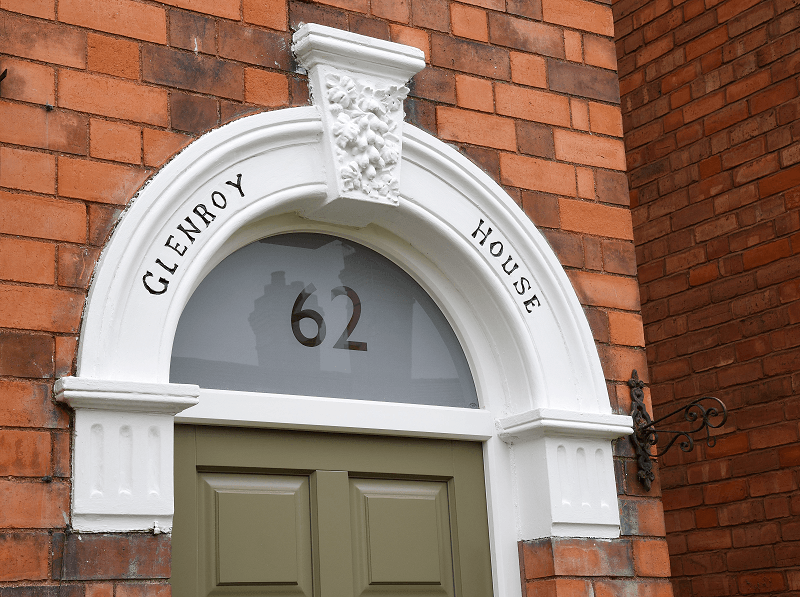 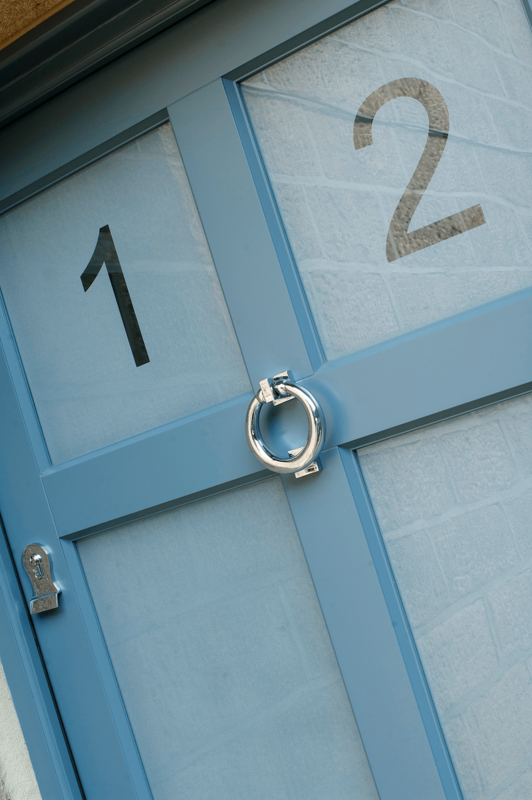 Door features sandblasted effect Santinovo glass to door panels and toplight, with etched house name. 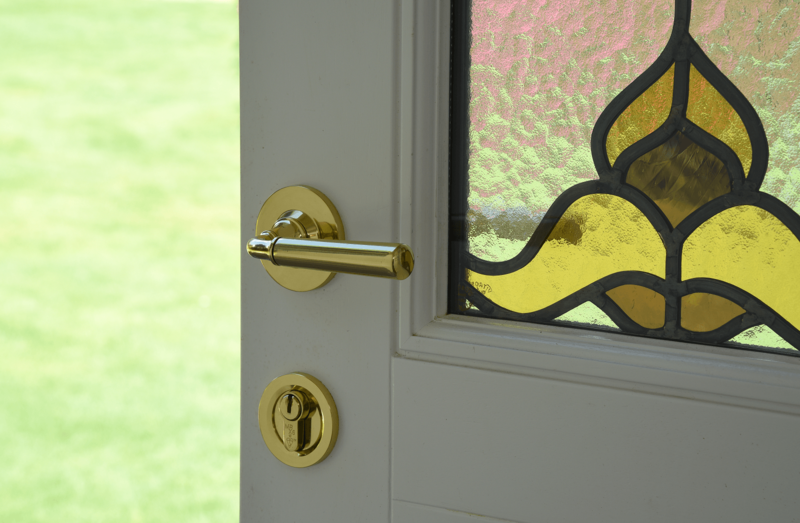 Polished Chrome Ring door knocker and large letter plate, both Samuel Heath.